Whatever might be said about the efforts last December, and then those in July, to normalise relations between the US and Cuba, the United Nations General Assembly vote served to illustrate the cold reality. By 191 votes to 2, members voted to condemn the US blockade that has been in effect since the island did the insufferable and unthinkable in Washington’s eyes in going Communist. Since the 1960s, the blockade has been a reminder that the bully in the hemisphere refuses to grow up, attempting to inflict damage on its smaller, upstart neighbour. (The life time of the embargo is said to have cost $121 billion.) Even after the Soviet Union went its way into fragments, and the fraud that was the Cold War dissipated, small Cuba still posed a symbolic threat. It reminds the Washington, and Florida establishment, about counter-revolution. As long as it lasts, it is also an alternative. Ever since 1992, the UN General Assembly has favoured condemning the US embargo on Cuba. Each year, the naysayers seem to have diminished in number. Last year, the US and Israel kept usual company, while three countries noted their abstentions. This year, rumours abounded that the US delegation might put in an abstention as a pointer to pressure Congress, a domestic gambit that is becoming a habit in American politics. Four unnamed administration officials put the feelers out in September to members of the Associated Press. They certainly got a desired result. 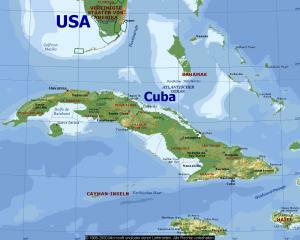 Cuba wanted to press home what it considered progress on the front of rapprochement between Washington and Havana. Travel restrictions have been eased. Embassies have been reopened. Cuba’s Foreign Minister Bruno Rodríguez told the General Assembly that “lifting the blockade” would “give some meaning” to the recent moves. It was not to be, and the result may well have been less an issue of Cuba’s behaviour than that of domestic calculation. After all, the Obama administration and Congress have been running what essentially amount to key parallel foreign policies, be they on Iran or the issue of climate change. The public blame, however, had to be placed on Havana’s unnecessary impetuousness, the western hemisphere’s grand historical upstart. Such an attitude admits to a gradual incorporation of Cuba into the US sphere of influence, a slow but certain breaking down of its institutions. This should not be surprising to those keeping watch over the global trade network that Washington is driving via such tools as the Trans-Pacific Partnership. The aim of such policy is an undermining of public institutions across participant countries in favour of corporate will, accounts and vitality. Cuba will prove to be no exception, and its medical and education schemes may eventually be battered into corporatized, marketised submission. Cuban authorities, beware. In the meantime, aspects of the embargo continue to manifest in damaging forms, usually through fines against third-country banks and financial institutions conducting US dollar transactions with Cuba. Institutions such as Credit Agricole and Sprint have fallen foul of the practice, having their services fined or delayed. Importantly, the continued pattern of voting from the US also suggests that the bully will admit to normalisation, but on his own terms. The fact that 191 states might disagree with the continued belligerence an embargo entails is beside the point. The bully still insists it has the cards, and will dictate the program accordingly. This form of commercial incorporation and invasion takes patience, and the Obamacrats are eager to bide their time. GOP sniping and griping from the Florida wing is almost beside the point. Eventually, the dollars will come, the investments will yield fruit. Democracy will have nothing to do with it. The question will then be whether the Castro legacy survives the impositions of a US imperial one.